IT was an opportunity she hoped would change her life – but it did so in a way she could never have thought possible. 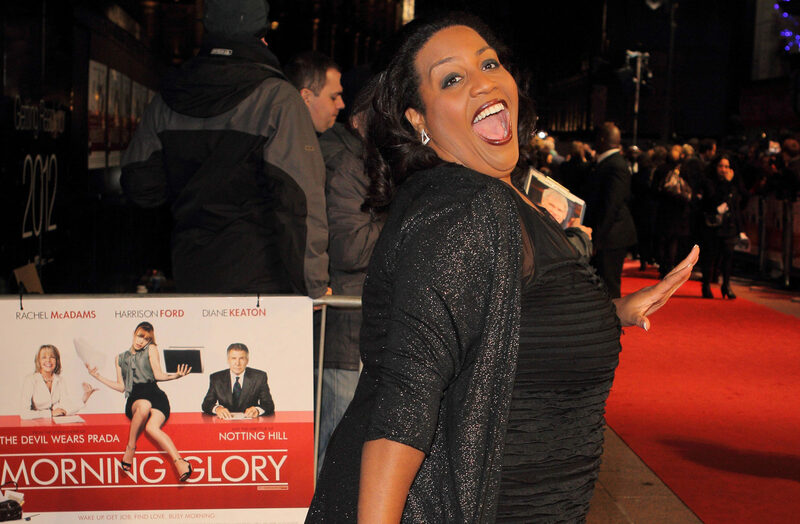 Alison Hammond expected the big bucks on offer for winning Big Brother would be a massive game-changer. But she’s told iN10 how NOT being the last woman standing was a real blessing and she can’t help but think of the path her life may otherwise have taken. Alison was in the third series of the-then Channel 4 reality show back in 2002 and was the second housemate to be evicted. “I was absolutely devastated at the time,” says Alison. “I was enjoying myself and was really upset when I had to leave. “I had gone in to win the money and was gutted when I didn’t. “But a producer from This Morning saw my eviction and said I was the ideal person to present a slot for them. If he hadn’t seen me I wouldn’t have got the job. “If I had stayed in Big Brother until the end, I probably wouldn’t have had the career I have. “So it was the best thing that ever happened to me. Viewers instantly took to Alison and the unexpected, short-term stint on This Morning turned into a long-standing commitment. She has now spent 16 years there. That means she has been with the ITV daytime favourite – which celebrates its milestone 30th birthday in a few weeks – for more than half of its time on our screens. Drill down into why she’s been such a popular figure and Alison is modestly self-effacing, saying she’s not sure. But her ever-cheery disposition, smiling and laughing through it all, has surely been one big reason for her longevity as the programme’s showbiz correspondent. Over a decade-and-a-half she has interviewed just about everyone who is anyone in the entertainment world. There is one, though, which meant more than most, and only came to be after crushing disappointment. “I was supposed to interview Oprah Winfrey a few years ago, but it was cancelled,” she explained. “That sort of thing happens all the time, it’s just a part of TV, and it never bothers me. “That time, though, I was really upset, as she’s such an inspirational figure. It turned out that Lorraine Kelly did it. It was a great interview – which made it worse – and I couldn’t help crying. “But a few months ago I did finally get a chance to meet her. She was with another legend, Reece Witherspoon. “Oprah was everything I could have wished for, and more. She showed up 20 minutes early, and we had a chat. She told me how much she hated selfies – so I instantly put my phone away! Ask Alison about her other favourite stars and, while she admits some recollections can become a bit blurred because of the sheer quantity, there are plenty of standouts. “Most of them remember me because I create such mayhem,” laughs Alison, who has a 13-year-old son, Aiden. “There’s a lot of craziness they’ve never had before. I don’t try to be anything other than myself, which is to be fun-loving. “I can be serious if it’s appropriate, but most of the time I want to squeeze all the joy out of life that I can. “Hugh Jackman is one of those who just gets it. He knows he’s there to promote the film but we want to have a bit of fun and he will go for it. “Will Smith is another like that. I met Denzel Washington recently and he’s another person I find quite inspirational. “I watch a lot of his YouTube videos where he goes to universities and gives speeches. Tom Cruise is another who sticks in Alison’s mind – partly because of how he gave her a bit of a boost at home. “I had Aiden in 2005, so what I do has always been his life. Me talking to Tom Cruise one day and then going home to making his dinner is his reality. During her stay at This Morning Alison has worked extensively with Phillip Schofield and Holly Willoughby and Eamonn Holmes and Ruth Langford. She admits she can’t help but have learned from two of the best presenting duos in the business, but reckons there’s plenty more to This Morning’s appeal. “Part of why people like it is that it’s there, ticking over in the background. One of the attractions of This Morning is that it gives her the freedom to do other things. 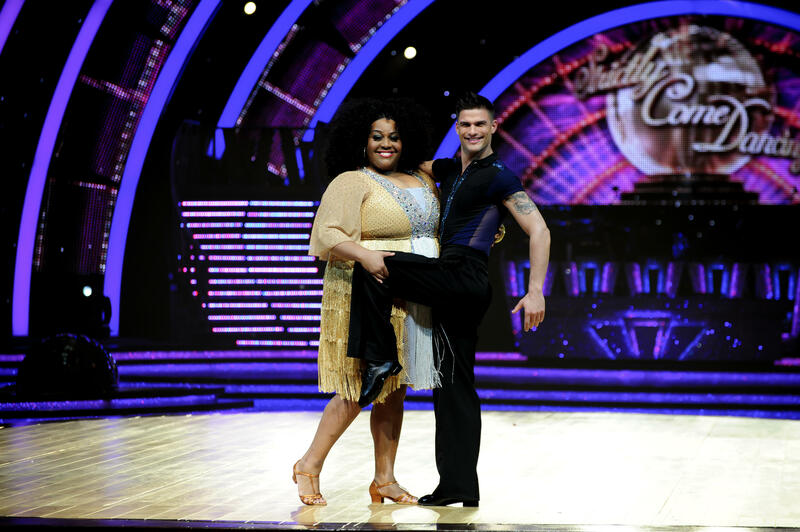 That includes Strictly in 2014 when she was paired with Aljaz Skorjanec. And she’s been in Glasgow recently, filming a new Saturday night quiz show called The Time It Takes, with comedian Joe Lycett. One of the guests was Paul Chuckle and Alison had been out for dinner with him the night before brother Barry’s untimely death. “We’d no idea the awful news that was going to come the next morning,” said Alison. Unsurprisingly, Alison’s larger than life personality means attention follows her around, but she insists being recognised isn’t an issue. “I’m a chatterbox, so I don’t mind a bit of a natter. It’s a privilege when people I don’t know want to speak to me. There are always new opportunities for in-demand Alison, and she has wide-ranging hopes for the future. “I’ve got so many ambitions,” adds Alison. “I’d love to meet somebody one day and get married, have someone to share the rest of my life with. “And I’d love to work in America and see what that’s like. That might be for when Aiden is a little bit older. “I want to have my own clothing range. I’m not defined by anything. “I always feel if I focus on something I can just go for it. “Nothing will stop me and that’s the message I’d put out to anyone. This Morning celebrates its 30th anniversary from October 1, at 10.30am on ITV. A documentary, This Morning – 30 Unforgettable Years, will air that week.